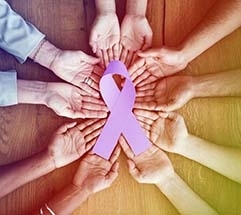 Learn about cancer prevention and detection. Find out more about a cancer diagnosis. Explore treatment options and how to manage treatment-related side effects. Connect to educational sessions and support groups. Locate additional support resources, such as financial assistance, lodging, transportation, wigs and prosthetics. To contact the Slaggie Family Cancer Education Center in Minnesota, call 507-266-9288 or visit us on the lobby level of the Gonda Building, 8 a.m. to 5 p.m. Monday through Friday.